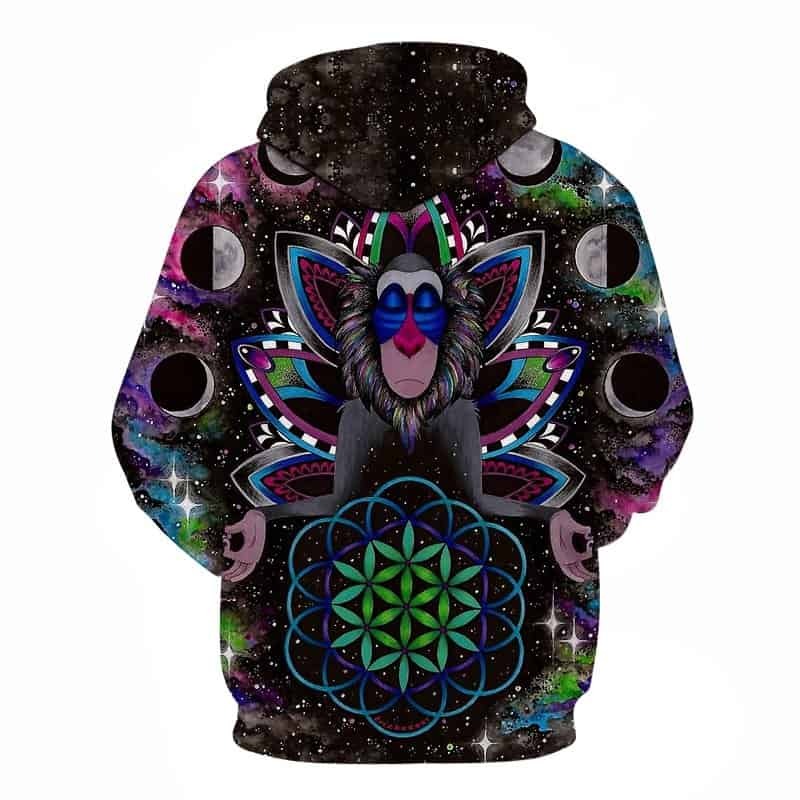 The Trippy Space Monkey Hoodie is a best seller of ours. A truly amazing design. 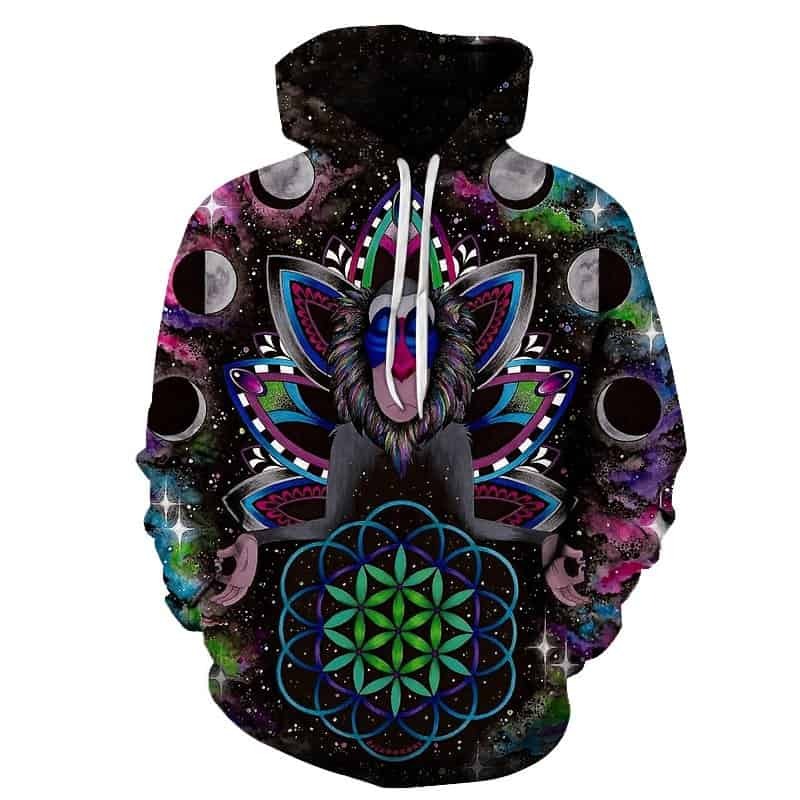 The print features a mystic space monkey meditating in the center surrounded by all types of trippy shapes and patterns.The hoodie is comfortable to wear, looks fashionable and is wearable anywhere. It was designed for both male and female.